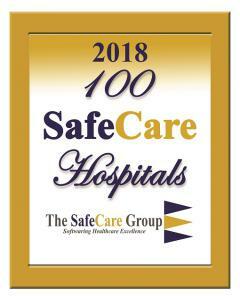 LEXINGTON, KY, USA, February 22, 2018 /EINPresswire.com/ -- Northern Maine Medical Center was recognized as a 2018 100 SafeCare Hospitals® by The SafeCare Group® for low infections, low readmissions, low complications. 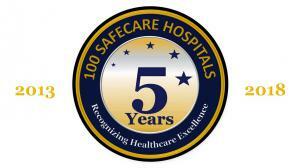 100 SafeCare Hospitals® represent the nation’s top performing hospitals in evidence-based metrics of Medical and Surgical Infections, 30-Day Mortality rates, Complications rates for Medical and Surgical Care, Patient Satisfaction, 30-Day Medical and Surgical Readmissions, and overall value. 100 SafeCare Hospitals have achieved an exemplary level of performance in the comprehensive, evidence-based metrics of the Centers of Medicare and Medicaid (CMS) value-based program (HVBP), readmissions reduction program (HRRP), and acquired complications reduction program (HACRP). Hospitals that perform poorly on these quality, safety, and efficiency metrics receive a financial penalty from the government. Only about two percent of US hospitals earn the prestigious 100 SafeCare Hospitals® distinction, and the top 50 hospitals represent the top one percent performance in the evidence-based metrics of HVBP, HACRP, and HRRP. The SafeCare Group® published the first 100 SafeCare Hospitals® listing in 2013 with the mission of “Recognizing Healthcare Excellence”. 100 SafeCare Hospitals recognize hospitals that excel in evidence-based metrics of Medical and Surgical Infections, 30-Day Mortality rates, Complications rates for Medical and Surgical Care, Patient Satisfaction, 30-Day Medical and Surgical Readmissions, and value of care. The top 50 hospitals represent the top 1% performance in the evidence-based metrics of HVBP, HACRP, and HRRP, and only about 2% percent of US hospitals earn the prestigious 100 SafeCare Hospitals® distinction. Hospitals that performed poorly on these evidence-based metrics receive a financial penalty from the Centers of Medicare and Medicaid Services. The SafeCare Group believes that the 100 SafeCare Hospitals listings would incentivize hospital leadership to improve care and reduce unnecessary errors that harm patients.